One of the most sought-after minds in strategic communications, Rakia Reynolds is a thought leader, tastemaker, and branding expert who advises top Fortune 500 companies on creative strategy. Rakia (pronounced RA-KEY-AH) has been guiding client successes with her own distinctive brand of authenticity and expertise for over 15 years. Recently, she served as creative director for Philadelphia’s bid for Amazon H2Q— which has resulted in landing Philly as a top 20 finalist from contending cities across the country. With a client list that has included Airbnb, Comcast, Dell, Morgan Stanley, Serena Williams, Ashley Graham, Global Citizen, Landit, and many others, Rakia serves as Founder and CEO of public relations agency Skai Blue Media. A non-traditional agency, Skai Blue Media is a proudly eclectic group of storytellers, brand experts and strategists. Her team works with lifestyle, technology, non-profit, entrepreneurs and brands, and has offices in Philadelphia and New York. As a thought-leader, Rakia is a proven authority in marketing, creative strategy and business development. Onstage, she has a passion and expertise that has captivated audiences across several industries—including branding and media, multicultural business, economic development and the entrepreneurial journey. Rakia has spoken at TEDX, SXSW, Inbound, Mem Talks, the Pennsylvania Conference for Women, and several others. She is frequently a guest editor and contributor for USA Today, Forbes, HuffPost, Marie Claire, Bloomberg, Elle, Fortune, and Fast Company. An innovator and visionary, Rakia developed and implemented the Entrepreneur Residency Program for Visit PHILADELPHIATM. In that capacity, she works closely with the CEO and team on big ideas around all aspects of their communication strategy. The ‘We Got You’ travel series, co-produced and ideated by Rakia and the Skai Blue Media team, has upwards of 10 million public facing views. Rakia is an active member of the NationSwell Council—participating in the network of innovators who are working together to develop impactful solutions for America’s most critical issues. 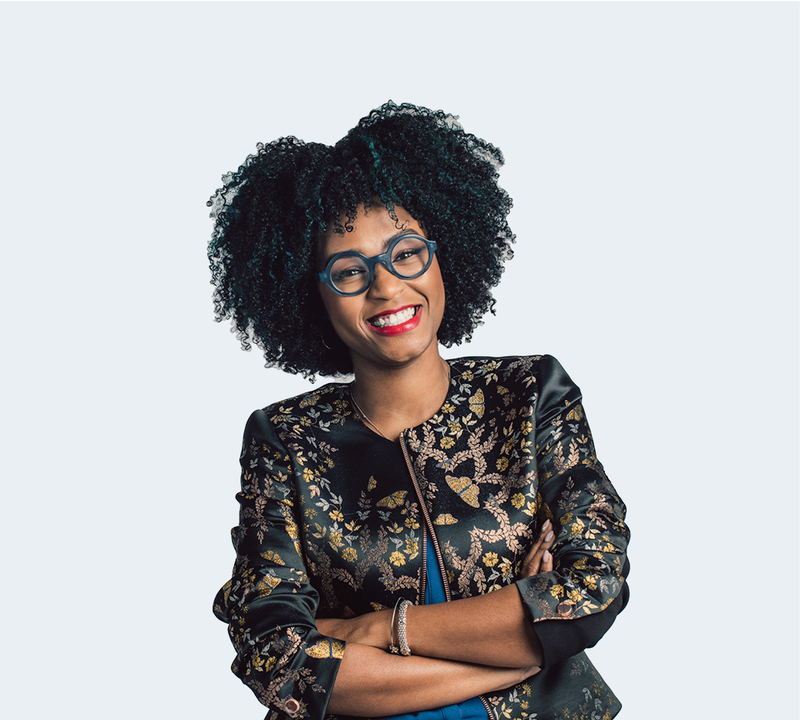 Self-described as a “well-dressed nerd”, Rakia was named one of 25 tastemakers on Dell’s “Inspire 100” list and is currently the face of the Dell small business national campaign. She was appointed to the United Nations Global Accelerator, a select group of entrepreneurs from the U.S. who collectively address real-world issues with creative solutions. In 2017, Inc. Magazine named Rakia an “Entrepreneur Aiming to Change the World”.